Log in to view email address. Historic Muncie Friends Church and the Old West End Neighborhood Association will host a fall Family Arts Festival featuring an art exhibit and sale by Old West End artists, mural workshop by Denise King, Paints and Pastries with Sheila Piazza, Shamaniacs drum circle, free Kindermusik class, peace song sing-along, make and take art, and more. Quaker Women will serve a chicken and noodle lunch from 11 to 1. This is a fundraiser for the church and OWENA. Transgender man Brent Walsh will share his spiritual journey in dealing with his sexual identity during the Third Sunday Conversation series at 11 a.m. Sunday at Muncie Friends Church: A Quaker Meeting. Walsh was born female into a strict, religious home that held traditional Christian values concerning gender roles. But, from an early age, Walsh – then known as Brenda – knew he was different from his sisters, and soon learned that his Christianity would be challenged by questions about his sexuality. Walsh came out as a lesbian in youth, and transitioned to male at age 32, grappling with long-held beliefs that seemed to contradict his reality. He came to believe that being LGBTQ need not impede his relationship with the divine. Walsh earned a Master’s of Divinity degree at Earlham School of Religion in 2013 and currently works at Earlham. He is a guest speaker at faith institutions that want to better understand and support transgender people. Refreshments will be served at 10:30 a.m. during fellowship time in Goddard Hall. Walsh will speak and hold a question and answer session at 11 a.m. Guests are invited to stay for dinner in the downstairs dining hall following the discussion. Third Sunday Conversations are held the third Sunday of every month and feature discussions with marginalized groups to promote understanding, and are open to the public. Friends Church is located at 418 W. Adams St. Parking and entrance are on the north side of the building, on Jackson Street. 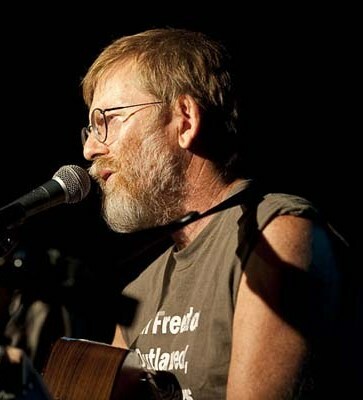 Satire and social commentary from an award-winning storyteller and musician are coming to Muncie at 7 p.m. Saturday, April 20, when Tom Neilson brings his show Don’t Confuse Me with the Facts to Muncie Friends Church, 418 W. Adams St. A freewill offering will be accepted.